If I ever had any doubts that size and strength are an asset when it comes to dogs working water it was put to rest on Tuesday morning. We have being taking advantage of the heatwave currently sitting over our small island of Ireland and every chance we get Elly and I will head for the beach with some fourlegged friend. This morning we took Mossy. 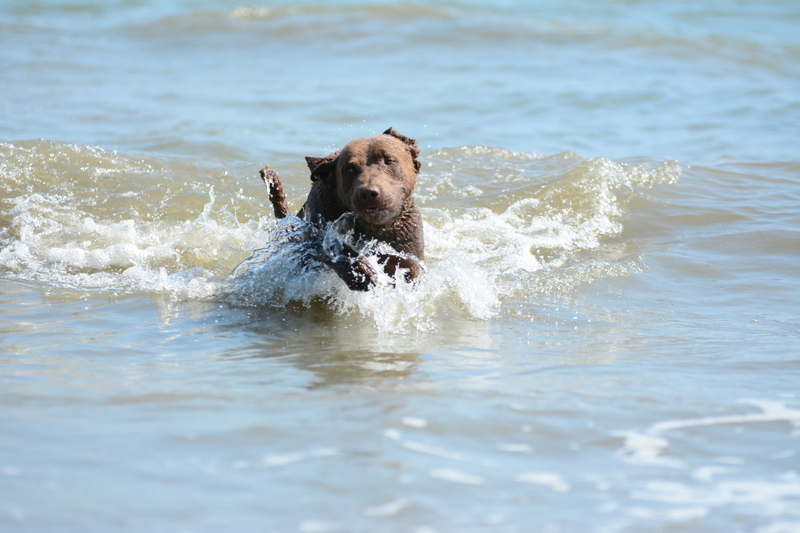 Now, I have an unwritten rule when it comes to beach walks here….if a dog and owner approaching are free running their dog then I allow mine the same freedom. I have spent too many walks when Elly was small having my dogs under control, walking to heel and sit-staying while yelling at a distant dog owner to call up their dog as my own dogs have to endure some posturing male. 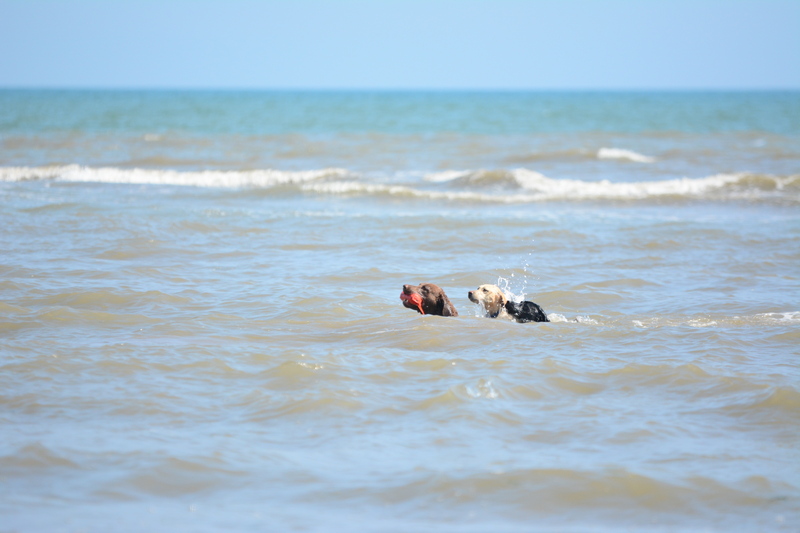 So beach walks now for my dogs are more about meeting other dogs, interacting and moving on. So as we made our way back along the waterline on Tuesday morning a middle-aged couple coming towards us were running their two Labradors. 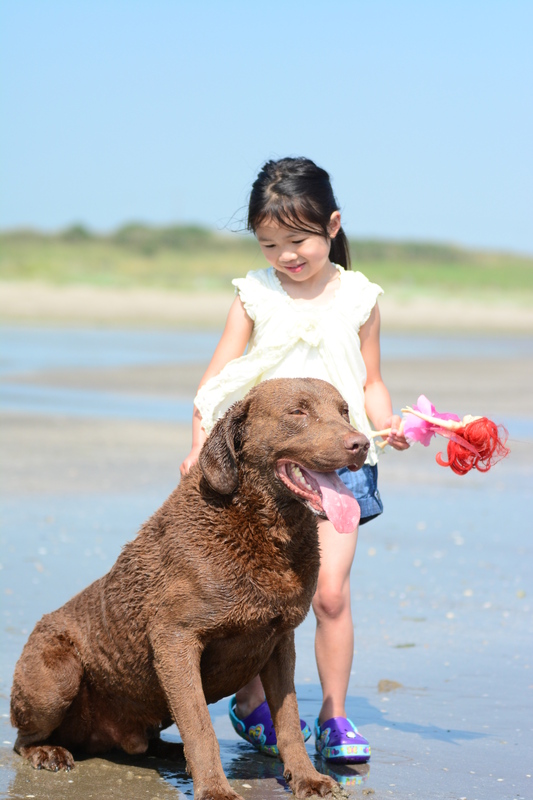 They were having a grand old time running in and out of the water in pursuit of the dummy their owner was flinging into the waves as they walked. He had given them a generous headstart. They were about 70 meters away when Mossy spotted the last throw, it landed about 50 meters out in the frothy water. 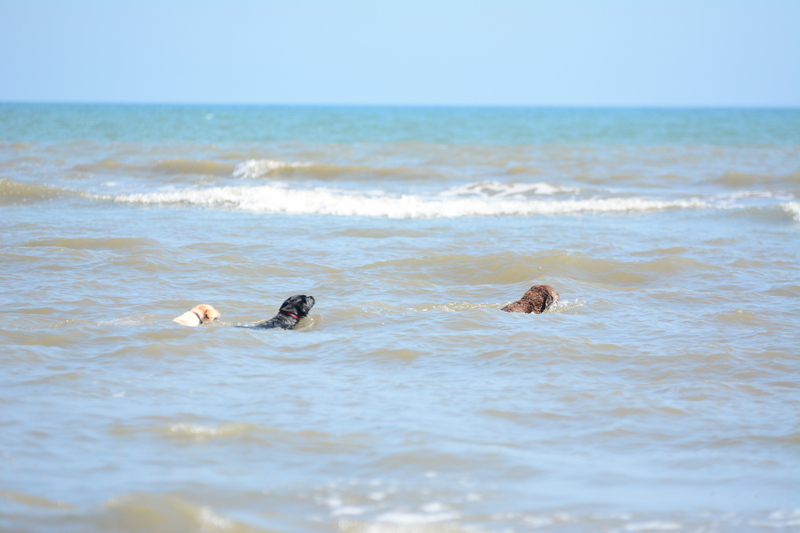 Without hesitation the Labradors dived in after it through the waves but this time they were about to have some extra competition. 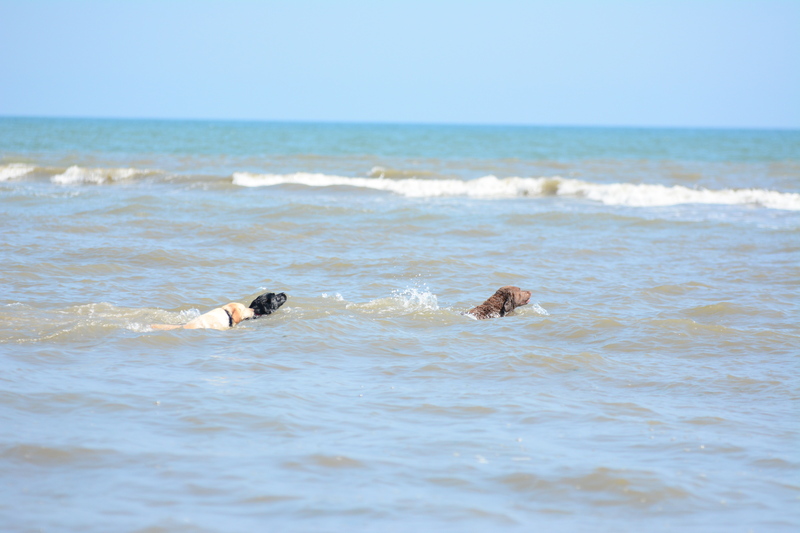 On seeing the throw Mossy ran the beach to where the owners stood and without breaking stride plunged through the chest deep water after the two dogs who by now had a twenty meter head start and were closing in on that red dummy fast. 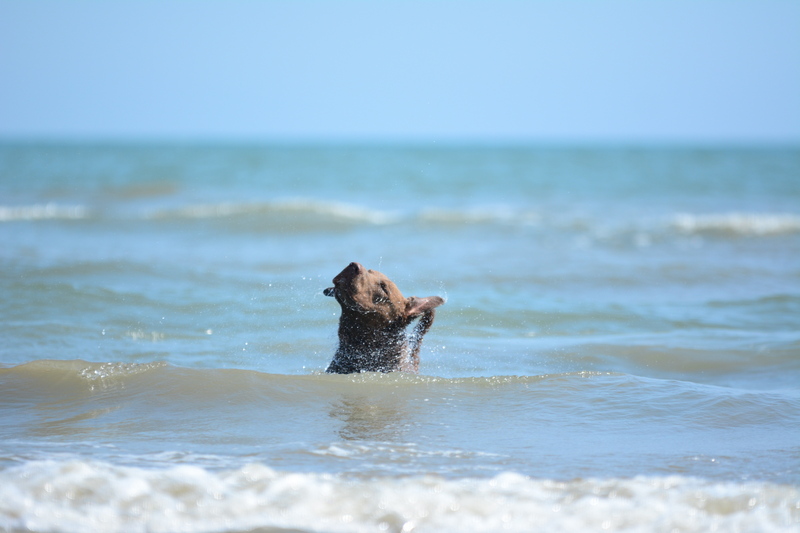 His acceleration through the water made it look like the Labradors were simply threading water as this big brown thug churned through the waves, overtook them, retrieved the dummy, swam over them on his return and ran back towards me with his booty. 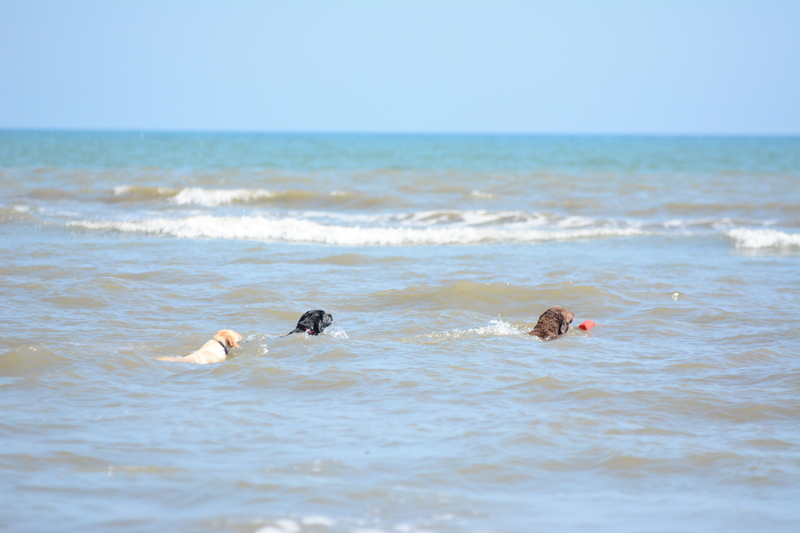 As I walked towards the owners to return that red dummy we looked at each other and then we looked at the three dogs milling round our legs and then we looked out at the waves and in unison we all said WOW!! that was some retrieve. What a foine day, that was. 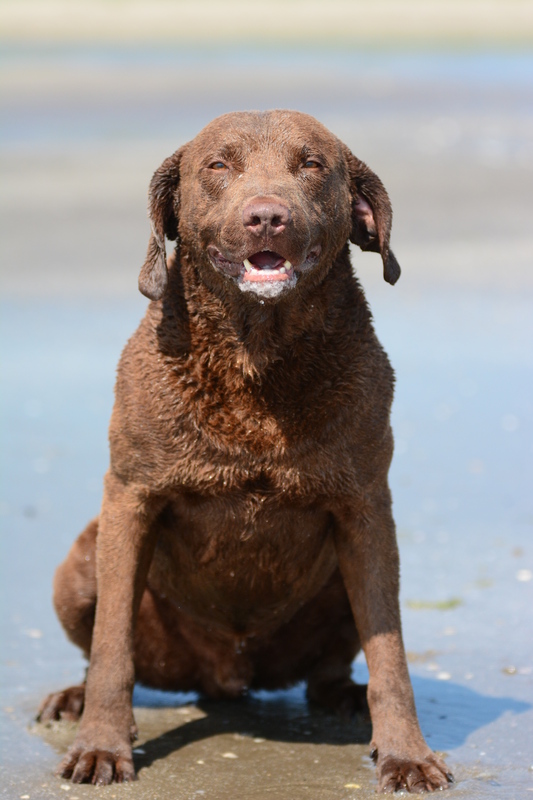 Martha Anne and I had a good laugh out loud, as it reminded us of past Chessie doin’s on a beach/ You ‘event’ was classic for the big males of the breed. Gary Irish, our breeder [chessiecental.com] regularly produces some of those ‘old-fashioned’ males in his line. Our ‘Cullen was around 80lbs in his prime, not the giant economy size, but substantial. He and ‘his’ Macha loved to hit the incoming breakers , making big dramatic ‘water wings’. The breed is just so endearing in it’s zest for fun and the serious work ethic results. A long-time dog freind, Bernice, has nice country pond where canine clubs can have a picnic and dog swim party. At one of them, Martha overheard a couple who had their Labs there, were overheard saying, “When the queen of the pond leaves, maybe our dogs will get a chance to retrieve something!” Macha ruled everything that hit the water, tho’ we took the hint and hauled her in for a bit. Nice to drop you a note. The photos and events that you write about are always on our list; chapters in a cyber-book of the New Electrons. Take care, enjoy those wavy-fur companions, and keep ’em coming. Very cool story and fabulous pictures. That beach looks the perfect place for some fun!